We carry and install the Bradford White brand water heaters, a brand that has been trusted by plumbers for over 50 years. 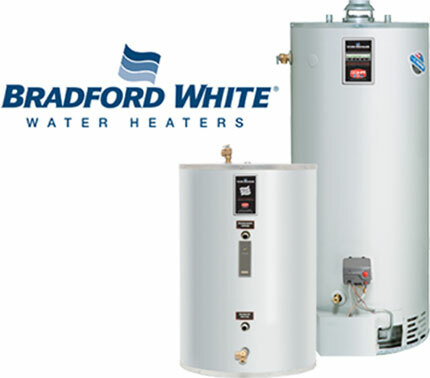 As the San Diego distributor of Bradford White hot water heaters, we can offer top of the line quality, high efficiency gas and electric water heaters installation, service, and repair to San Diego at affordable prices. If it’s water heater service you need, San Diego plumbers A-1 Prestige has the expertise to get your hot water heater back and up running in no time. Each member of our staff is expertly trained with the know-how to tackle hot water heater diagnosis and repair. Call us at 858-748-3448 and we will send a water heater service technician out to your home.